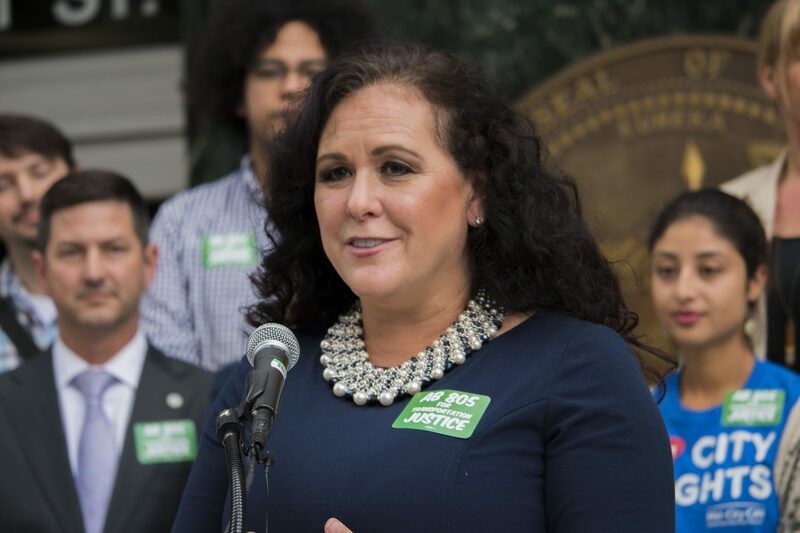 The Working Families Council, a coalition of labor unions formed as a breakaway from the Labor Council, is facing a crisis as it prepares to announce support for Lori Saldaña for supervisor. Plus, DeMaio's out, and the left has taken aim at influential but overlooked agencies throughout the county. There’s something interesting on the agenda for the Service Employees International Union, Local 221’s meeting Tuesday. “Consider withdrawing SEIU 221 membership from the SD Working Families Council,” it reads. 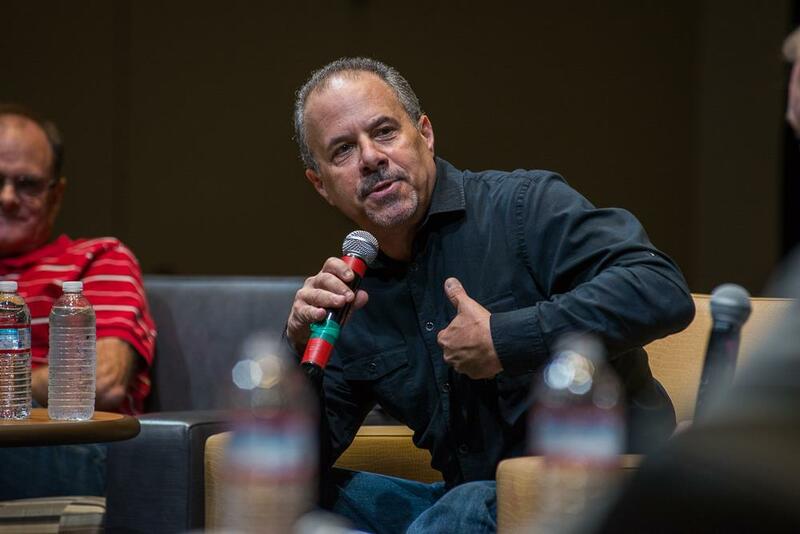 The Working Families Council is the coalition of labor unions formed after Mickey Kasparian and the United Food and Commercial Workers union he leads separated from the Labor Council, where he was once president. SEIU — made up mostly of county workers — and its leader David Garcias were UFCW and Kasparian’s biggest partners in the venture. Why SEIU may bolt: The Working Families Council is set to endorse former Assemblywoman Lori Saldaña’s bid for the Fourth District County Supervisor’s seat. SEIU, in contrast, is deeply committed to Nathan Fletcher winning that seat. The news: The Working Families Council met last week to consider the county supervisor race and others. The group advised candidates later in the week about its decisions. They were to be formally announced March 15. Saldaña told us that she got the nod. It’s an extraordinary turn of events. A year ago, Saldaña was one of dozens of women who called on Kasparian to resign in a letter. He was facing now-settled lawsuits alleging gender discrimination and sexual assault. More recently, she was unwilling to condemn him, including on our podcast. Now, with her fundraising struggling, she can thank him for giving her a boost. Another intriguing bit: Bonnie Dumanis, the former DA who is running for the county supervisor seat, also sought the endorsement. Ken Malbrough was also there. The other two major candidates in the race — Fletcher and land-use attorney Omar Passons — did not even attend. 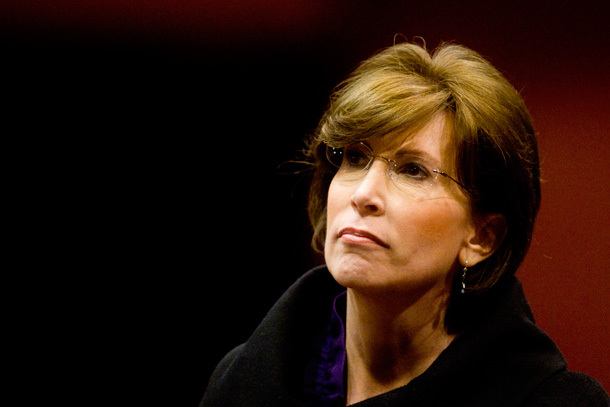 All eyes are now officially on whether SEIU will stick with the coalition with UFCW. “Grab some popcorn this is going to get interesting,” said Tom Lemmon, business manager at the Building Trades Council, and a fierce rival of Kasparian’s. 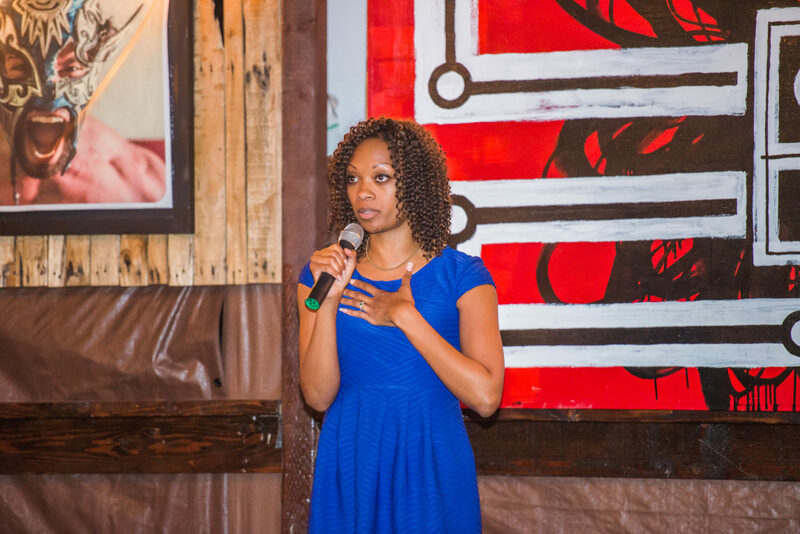 Shaking up the D4 race: The Labor Council and the Democratic Party also support Fletcher. Saldaña hasn’t raised much money, but she’s won a major race before and ran and lost for mayor and congress. The two candidates with the most June votes will face off in November, unless one bests 50 percent and wins outright. Without Republican competition, Dumanis has a strong shot at making the runoff in November. One big question now is just how much financial support Kasparian can generate for Saldaña. Big spending could complicate Fletcher’s blitz of labor- and party-funded voter outreach and make it that much harder for Passons or Malbrough to break through. Friday was the last day candidates could file for most local elections. The candidates in California’s 49th Congressional race have a few more days to decide: If the incumbent decides not to run, the deadline is extended a bit. If Democrats really do want to cull their field of candidates, they have three more days. But the deadline brought some news. When Rep. Darrell Issa announced he was not running for re-election, one of the first people we thought might try for the seat was Carl DeMaio. But then Republicans jumped over each other to run. The road got congested and we were corrected: Where DeMaio really wanted to run was in Rep. Duncant Hunter, Jr.’s East County district — District 50. Many Republicans assumed Hunter’s legal and personal trouble would overwhelm him and he would step down. He didn’t, but his fundraising has been anemic. The nightmare for Republicans was that he would be so damaged that a Democrat could take the seat. That motivated El Cajon Mayor Bill Wells to jump in. And that made DeMaio’s route even trickier. If anything, the gas tax repeal campaign was probably boosting DeMaio’s chances, not vice versa. Real story: “He was doing polling and a bunch of stuff factored in to his decision, including whether it was worth the risk to drop the radio show and his leadership on the gas tax repeal,” our source said. This week, we broke the news that Assemblywoman Lorena Gonzalez Fletcher will be proposing a bill to dissolve the Airport Authority and move management of the airport back into the port of San Diego’s portfolio. It will be a fascinating discussion. But it’s worth pausing to take account of a major transformation of San Diego civic life we’re watching. It’s common knowledge that Democrats are ascendant in the city of San Diego and much of the surrounding region. We’ve documented that plenty. Last year, Gonzalez Fletcher’s legislation completely changed the governance of SANDAG, giving Democrats and urban-focused transit advocates more leverage. It also modified the Metropolitan Transit Agency, which now has a fiercely liberal chair, City Councilwoman Georgette Gomez. We also broke the news that the mayor and Murtaza Baxamusa are negotiating over the future of Civic San Diego. Baxamusa is a former board member of Civic. He got that post during the brief mayoral stint of Democrat Bob Filner. And now his lawsuit is set to overhaul or eliminate the agency in the way Gonzalez Fletcher hoped to two years ago with legislation that Gov. Jerry Brown eventually vetoed. SANDAG, MTS, Civic San Diego, the Airport Authority: These are big, important agencies that have major influence on what kind of city we live in — what transportation projects get built, what kind of homes and neighborhoods arise and who gets which major contracts. The port had its own transformation over the last five years. No project is going through port approval now without labor support. What’s next? The Water Authority? One guy who wishes politicians treated him like a labor union leader is the Rev. Shane Harris. A San Diego native, Harris burst onto the political scene two or three years ago. 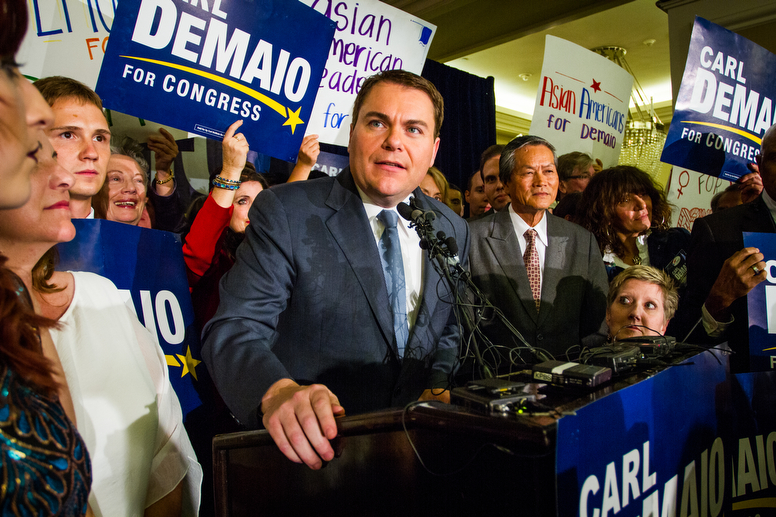 It was not unlike how DeMaio did it 15 years ago: He suddenly showed up and demanded, and got, attention for his cause and group, the National Action Network. He wants politicians to pay their respects. “People should come to NAN, ask for our support and address our community like they do for other organizations, like unions,” Harris told us. Now he’s demanding that district attorney candidate Genevieve Jones-Wright acquiesce to this point. It is not going so well. Jones-Wright met with NAN, went to events the group sponsored and largely agrees with Harris that the district attorney should appoint independent investigators for police shootings. But that’s not enough. Harris has decided to attack Jones-Wright. 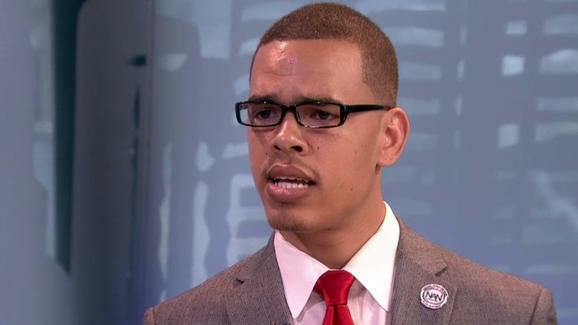 Background: Harris is the leader of the local chapter of the National Action Network. His mentor is the group’s leader, the Rev. Al Sharpton. The news: In recent weeks, Harris has hammered both candidates for district attorney, Jones-Wright and incumbent Summer Stephan. “Neither candidate in San Diego County DA’s race will be successful in their future endeavors in the area of Justice without coming through NAN & these families of police shootings. I can guarantee that!” he tweeted last week. He proudly touted to us that Stephan was visiting him March 26. The new police chief, Dave Nisleit, was also coming by. But he couldn’t get Jones-Wright to come. “They thought because I’m black I was going to jump on Genevieve’s boat. Well, I didn’t. She’ll go to unions and other organizations but you can’t come to NAN at the House of Justice to address people who are actually impacted by these issues,” he said. Jones-Wright is unimpressed. She said she met with him once and that was enough. “No one is the gatekeeper to civil rights,” she told us. She’s met with every civil rights organization, she says, and stands with them. She believes the DA should treat the families of police shootings with the same comfort and care as the victims of other violence. “He says I can’t win without him. But look at his following, look at his shares. You will see that he is not a factor in this game,” she said. The city of San Diego announced Friday it had hired a new planning director. The mayor and his staff went with Mike Hansen, a land-use attorney who will be a familiar face to planners and other City Hall types. Hansen was until recently the policy chief for Mayor Kevin Faulconer. He was especially responsible for working with city staff on planning, development and other land-use issues. He’ll now be outside the political confines of the mayor’s office, working directly with rank-and-file city planners as a department head. It’s the same dynamic for his boss, Kris Michell, who took over as the city’s COO after previously working on the political side as chief of staff to two mayors. Planning has a stacked agenda: Within the next year, the planning department hopes to finalize new plans that make way for more housing in Midway (which could kickstart redevelopment around the Sports Arena) and surrounding new trolley stations along Morena Boulevard and Balboa Drive. The department’s also integral to the mayor’s “Housing SD” plan, which seeks to deregulate housing development to increase supply. One piece of that to watch: a plan to let developers surpass existing density restrictions if they build middle-income units in the project. The city and state have similar programs for low-income homes, but this would be on top of that. We asked Hansen what his priorities were: “Housing affordability, [Climate Action Plan] implementation, updating community plans,” he wrote us. What do you want to write us? Send any feedback, complaints or effusive praise to andrew.keatts@voiceofsandiego.org or scott.lewis@voiceofsandiego.org.